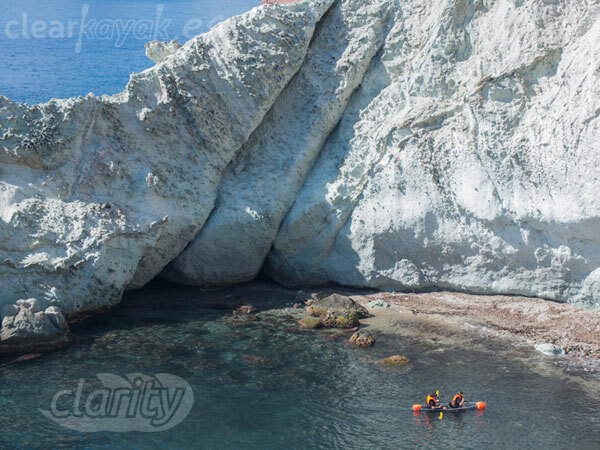 Break the barriers between land and sea, live a unique experience where you can enjoy the marine views from our clear kayak, Clarity. Feel in harmony with nature like never before, surrounded by 360 degrees of natural beauty. 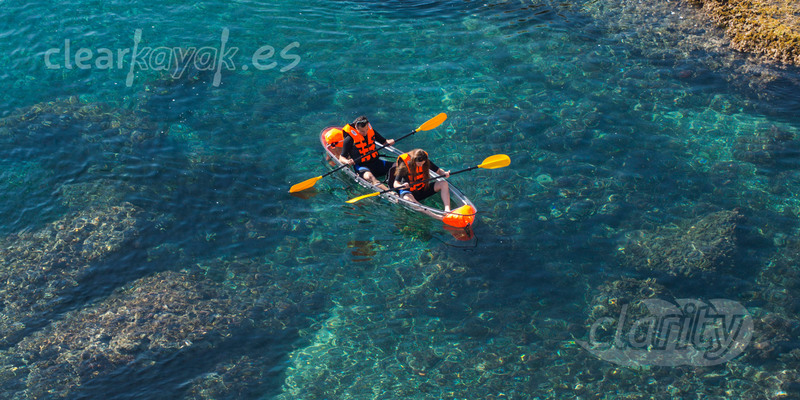 Clarity canoes, made from the latest aeronautic grade of polycarbonate are stable, resistant and offer you a total visibility of the underwater views. Group trips, guided tours , visit the natural beaches or just rent a kayak on your own . Enjoy the Natural Park! 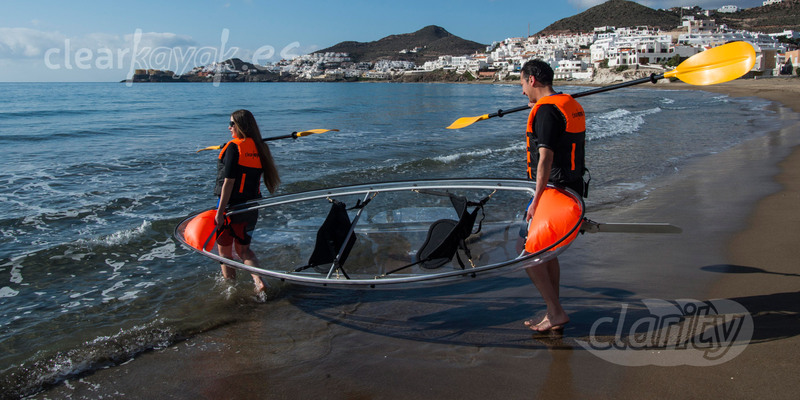 The transparent canoe brand to enjoy the underwater views.